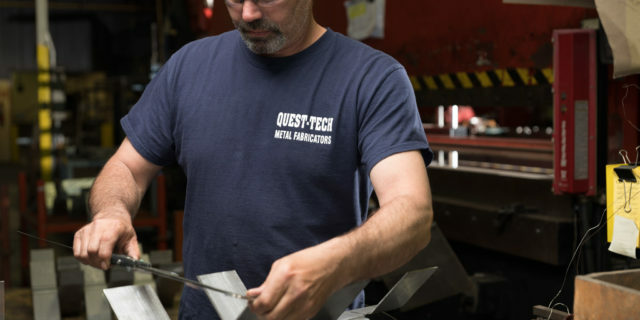 Metal Forming Services | Quest-Tech Precision Inc.
At Quest-Tech, the forming of metal is as much an art as it is a science. 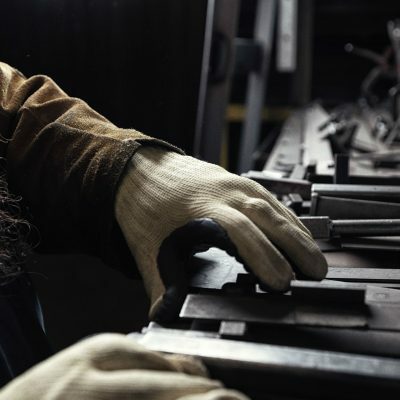 Metal forming, or brake forming, touches nearly every industry and formed parts are found in every household. Our engineers and technicians produce metal formed components with Computer Numerical Controlled (CNC) accuracy for end users across various industries. Metal forming is a manufacturing process that is used to bend or distort metal to produce consistently fabricated parts and components. Alternatively, roll forming metal is another method of compressive forming where strips, or sheets of metal, are continuously fed through pairs of parallel rollers to shape the piece of metal into the desired form. During forming, the metal does not lose its mass, only its form. Our Accurpress CNC controlled press brakes can produce up to 400 tons of pressure to satisfy nearly any of your metal forming needs, from the development of precision electronic components to robust heavy industry parts. Applications of formed metal are used in a wide array of industries and are also found in everyday life. In transportation, formed parts are used on automobiles, trucks, locomotives, ships, and aircraft. In addition, commercially available industrial grade HVAC systems, home appliances, and office furniture all contain formed metal components. The same is true for parts and assemblies found in the household electronics, recreational, lawn & garden, and fitness industries. The manufacturing process of forming is ideal for producing large quantities of parts used in a variety of industries. Forming can be done with various types of metals, including stainless steel, galvanized steel, aluminum, brass, copper, among other materials. Our Project Coordinators work with our clients and their engineered drawings to ensure that Quest-Tech produces finished products that exceed expectations. With the mutually beneficial goal of reducing scrap while keeping material costs at a minimum. Have additional questions about our capabilities at Quest-Tech? Please feel free to contact us today to learn more about our services.